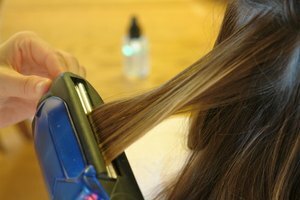 Cleaning hairspray from a hairbrush is necessary to prevent buildup from getting into your hair. 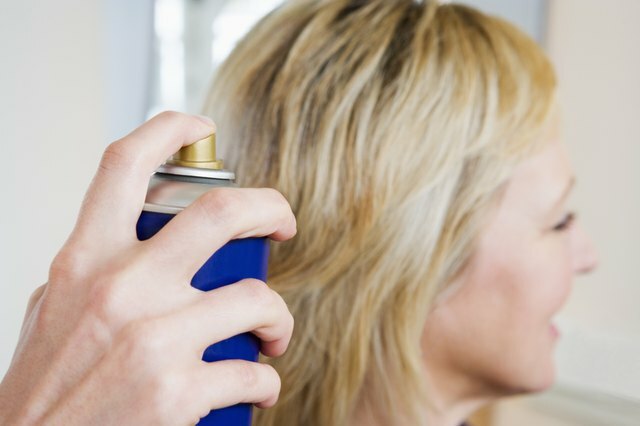 Hairspray is a sticky substance that can leave a buildup of flakes in your hair brush. When you brush your hair, these flakes are then transferred to your hair. Most people probably don’t even think to clean hairspray from a brush. 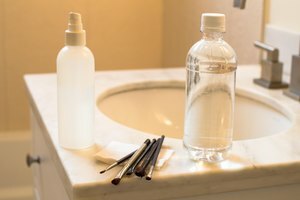 Not only does cleaning a hairbrush remove the hairspray, but it will also remove other bacteria and grime that may have accumulated on your hairbrush over time. Clean all hair from the hairbrush. Use your hands or the end of a comb to pull out all of the hair. Fill the sink with warm water. Add a few drops of shampoo to the water and mix it with your hands to form suds. Submerge the brush in the soapy water. Use an old toothbrush to scrub the hairbrush, getting in between the bristles to remove as much hairspray buildup as possible. Allow the brush to soak in the water for about an hour. Go back over the hairbrush with the old toothbrush to further remove the hairspray buildup. Rinse the brush under lukewarm water once all of the hairspray buildup has been removed. Lay the brush flat on a towel to air-dry. Use a mixture of water and baking soda for an alternate cleaning method. Fill your sink with hot water. Add 1 tsp. baking soda and stir until the baking soda is dissolved. Soak your hair brush in the solution for about an hour. Rinse clean and lay the brush flat to dry. Soak the brush in an ammonia or bleach mixture if the hairspray buildup is really bad. Mix one part ammonia or bleach to four parts water. Soak the hairbrush for 10 minutes and then scrub with an old toothbrush. Rinse clean with lukewarm water and lay flat to dry. Put your hairbrush in the dishwasher for a quick cleaning solution. Remove all of the hair and put it on the top rack of the dishwasher. Turn the heat setting off on the dishwasher and add dishwashing liquid to the machine. Run a full cycle to thoroughly clean your hairbrush. Never mix bleach and ammonia. 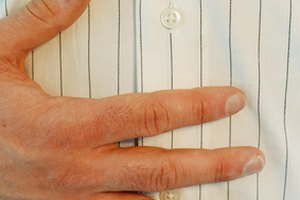 The combination of the two can produce fumes that may be toxic.